PLA Navy will have five aircraft carriers in the near future, country's official media reported, adding that China's third aircraft carrier is currently being built in Shanghai. 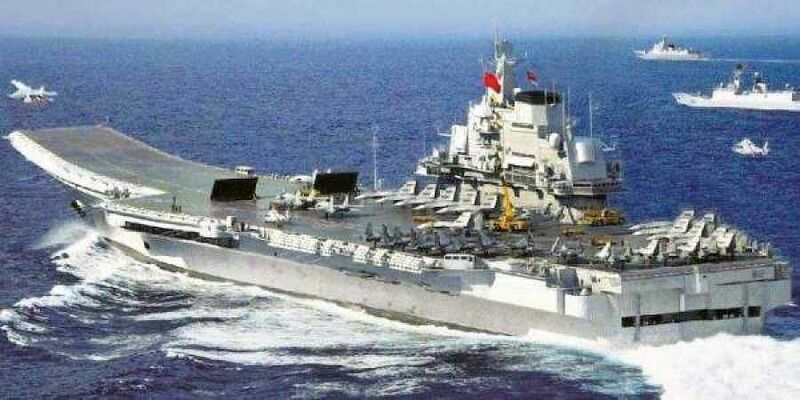 Subsequently, China launched its domestically-built second aircraft carrier and commissioned it for sea trials last year. The yet to be named ship is expected to be put into service by 2020. Officials say the rapid acquisition of aircraft carriers by China is of concerns to India too, as the Indian Navy, which is operating aircraft carriers since 1961, is currently operating only INS Vikaramaditya. The home-made INS Vikrant expected to launch sea trials in 2020. China is engaged in hotly contested territorial disputes with Vietnam, the Philippines, Malaysia, Brunei and Taiwan in the South China Sea, and with Japan in the East China Sea. Both the areas are stated to be rich in minerals, oil and other natural resources. They are also vital to global trade. It has already operationalised its base at Djibouti in the Indian Ocean and acquired Sri Lanka's Hambantota port on a debt swap. China is developing the Pakistan's deep water Gwadar port in the Arabian Sea.